Original Home, Rear Lane Access and Self-Contained Studio! A property with exceptional potential, this much-loved home offers purchases a rare opportunity to capitalise on a sought-after New Lambton location with large block dimensions and rear lane access. Owner built in 1963 and still in immaculate condition, its largely original interiors feature a traditional layout of central living and three quietly set bedrooms with fully ducted air-conditioning and a separate fully self-contained studio being additional highlights. New Lambton's Village cafes, local schools and parklands are all within easy walking distance, making its location an extremely attractive option for families. 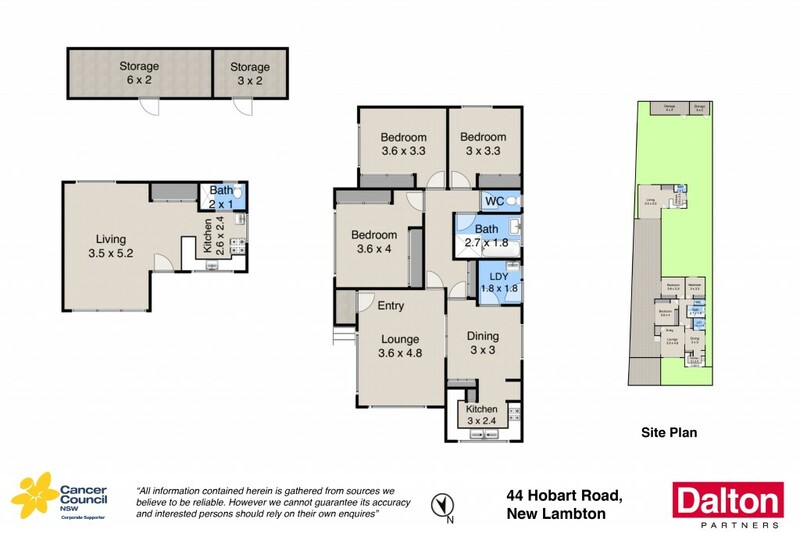 * Popular address zoned for New Lambton public and high schools. * Solid owner-built home in largely original condition. * Comfortable living room extends to a family meals area. * Neat and practical kitchen with brand new electric oven. * Three peaceful bedrooms, all carpeted and robed. * Separate one bedroom studio with full kitchen and bathroom. * Double gates to a lengthy driveway for multiple car parking.